Sebastiaan, grew up in the Netherlands, based in Berlin, and loves yoga. His attitude is nice and easy aka flying while having two feet on the ground. 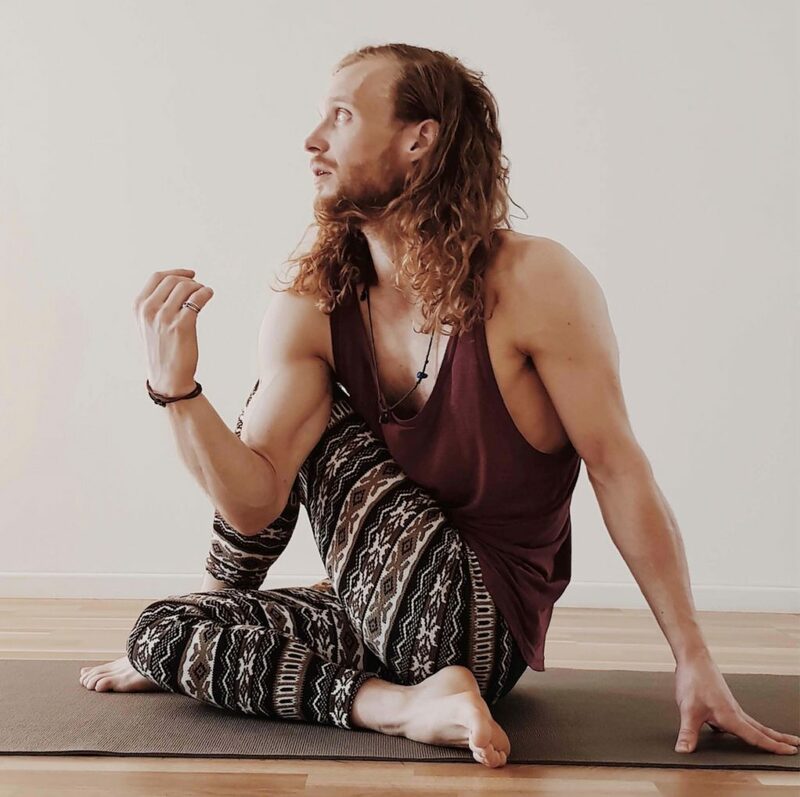 While practising and teaching Sebastiaan strives toward calming and connecting the mind, body and breath. The classes could be labeled as a Vinyasa Flow with an Ashtanga influence. Sebastiaan enjoys building poses from scratch, making sure the poses are made in a functional and save way and breaking a sweat while doing so. More like a home cooked meal, than take-a-way, he loves to share his current views in a way you understand them. In his own practise he enjoys combining a nice Vinyasa with some challenging poses like handstands. Making his practise playful and giving him awareness. Regarding curtain insecurities sometimes popping up: “How strong is your, mine or his or her practice / I am not so flexible / not so strong / super strong / I am chubby / I am thin / I have a fancy yoga pants.“ Sebastiaan does not know about all of that, Sebastiaan just loves yoga, loves moving, is human, would love to share what he knows and practice together.